We all know, that driving is a very serious business. Not only are you putting the safety of your passengers into your hands when you are driving, you are also putting the safety of others on the road into your hands. It’s pretty daunting stuff! This is the reason why it is so important to learn and stick to the traffic rules. Being ready on the road and knowing how to handle emergency situations should any arise is a key part of learning how to drive. Being able to drive is a fantastic skill, it gives you the freedom to go wherever you want when you want. But there are some challenges to overcome before you become a skilled driver. That’s where driving schools come in. Driving schools play a huge role in educating the learner to avoid road accidents whilst bringing both the car and the passengers to safety. Midrive has a great website filled with dynamic content such as testimonials, statistics and proven results. It has a unique step by step slider which enables the viewer how see exactly how their services work. The theme of the site is blue and white, perfect colours for an automobile-themed website. 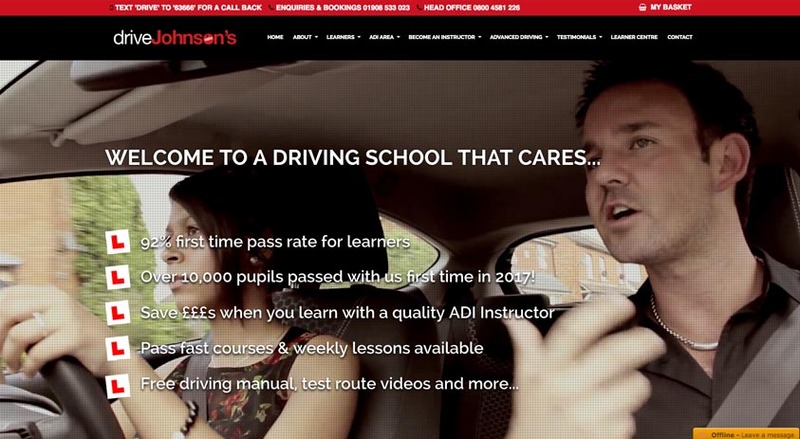 A driving school situated in Milton Keynes, United Kingdom, this website has a red and black theme and a list of pages about their programs, price lists, courses and much more. This website also has a learning centre which includes a range or articles learners can choose from. The website design is also a responsive one. 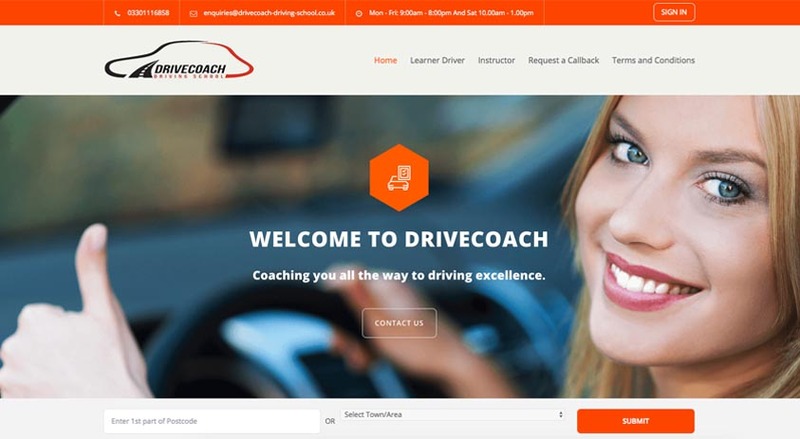 Located in London, United Kingdom, this driving school website has a nice fluid design coupled with learner and instructor elements. A picture slider is present and the graphics are of high quality as well. The design’s beauty stems from its simplicity and the light colours chosen. 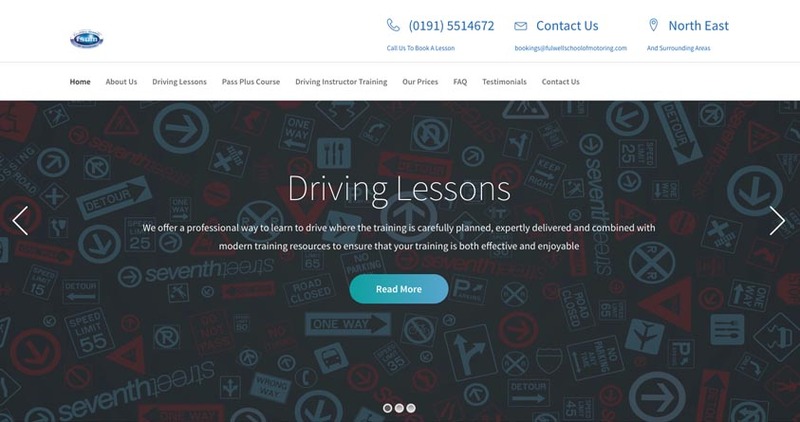 Go light and dark with this driving school web design. It has a light and dark blue theme and a clean touch of typography to display the information. The colours go all together very well and the website also displays their offers very clearly. 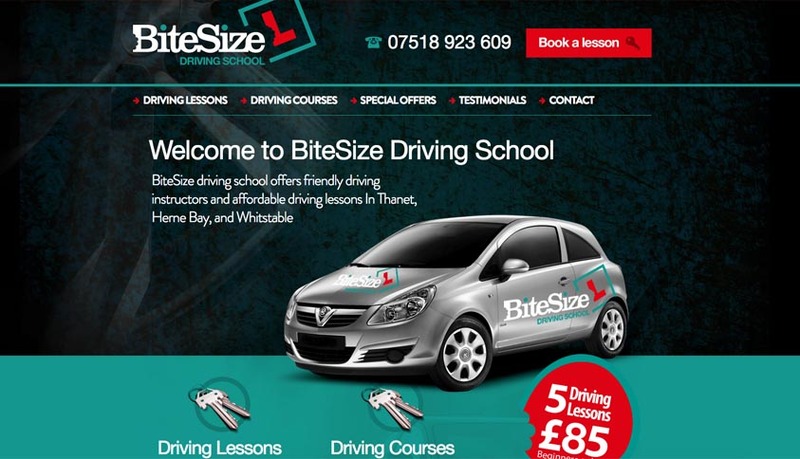 With this driving school web design, it is simple yet effective. The main page includes a beautiful image slider which catches the viewer’s eye. Within the footer, the business also includes useful links, providing valuable content for user convenience. 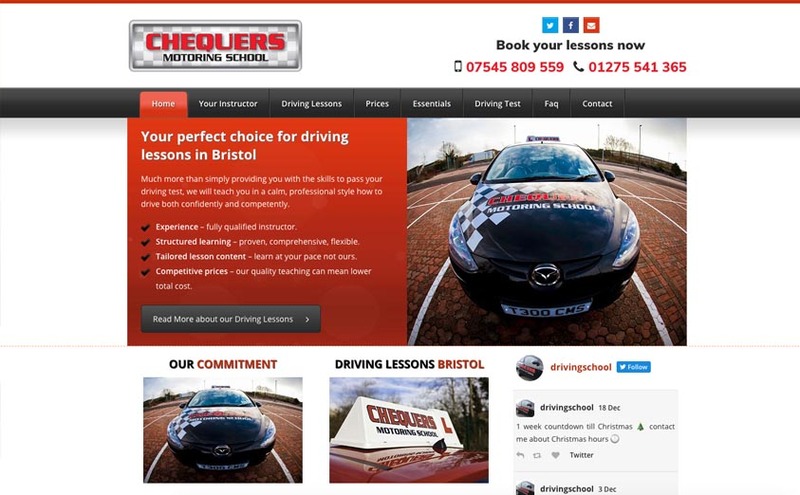 With its yellow colour scheme, this driving school has a nice layout and uses an image gallery just beneath the large header image. The content and information is well-arranged allowing users to find what they are looking for straight away. 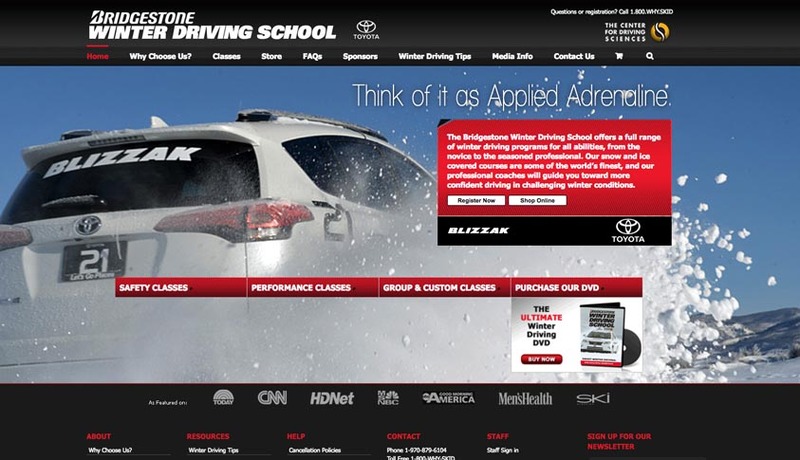 This motoring school web design is styled in the vibrant colour red. 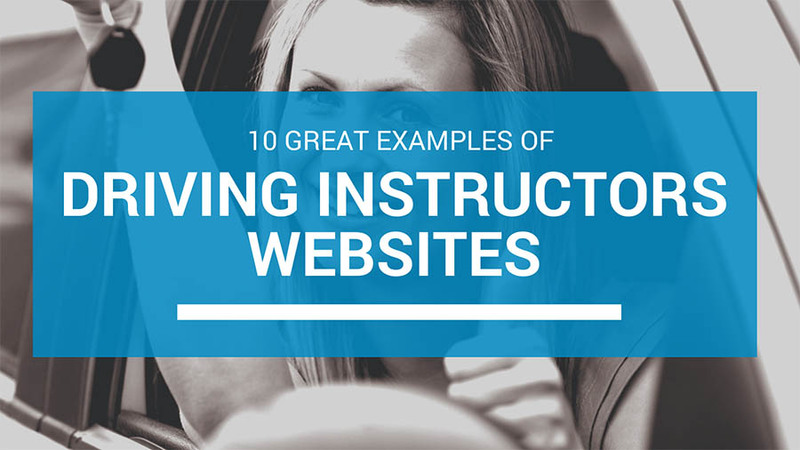 The typography is great and the content is well organised, unlike a lot of other driving school sites where the layout is more scattered. 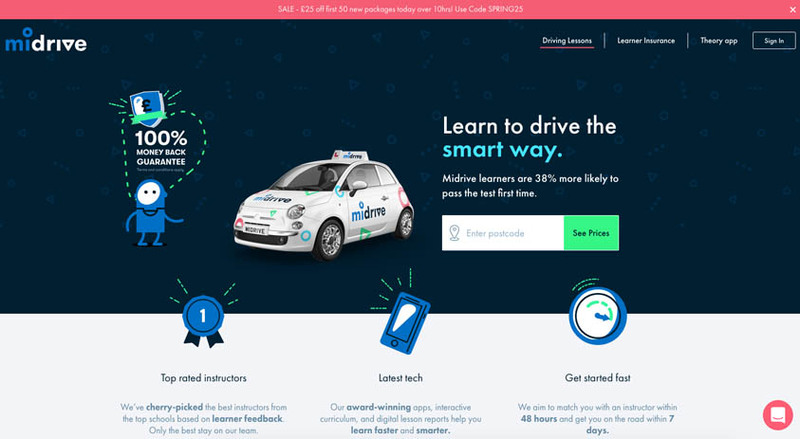 This simple yet very catchy driving school web design will definitely catch your eye. It’s like stating their services in a direct manner and features a range of videos from actual performances and test drives.